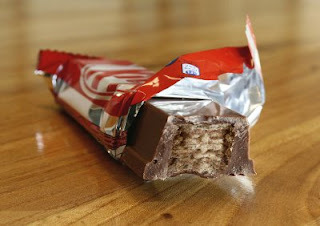 A reader of the Dutch website Nu.nl discovered this choccy embodiment of Jesus in his Kit Kat on Good Friday. What's next? Mary in a Mars bar? I love your blog. And this is why! I haven't seen something so deliciously ridiculous since the gummi-bear chandelier!